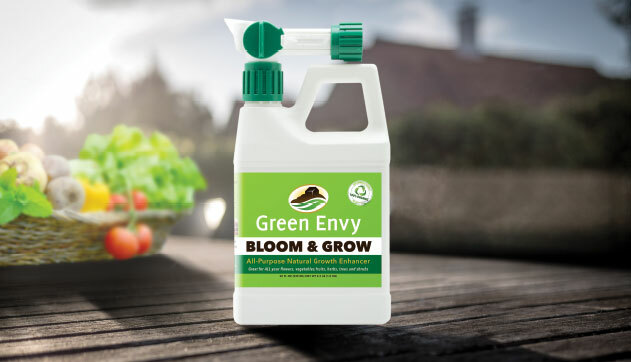 Green Envy™ BLOOM & GROW is a 100% all-natural and organic liquid plant food that acts fast to provide essential nutrients and improved soil conditions for bigger blooms, fuller growth, and better yields to all types of vegetation. 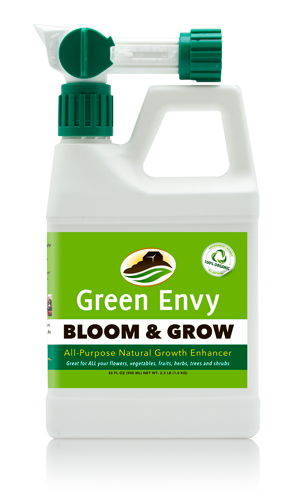 • Feeds 4,000 – 14,000 Sq. Ft.